The National Women’s Soccer League and Yahoo Sports are joining forces this season. 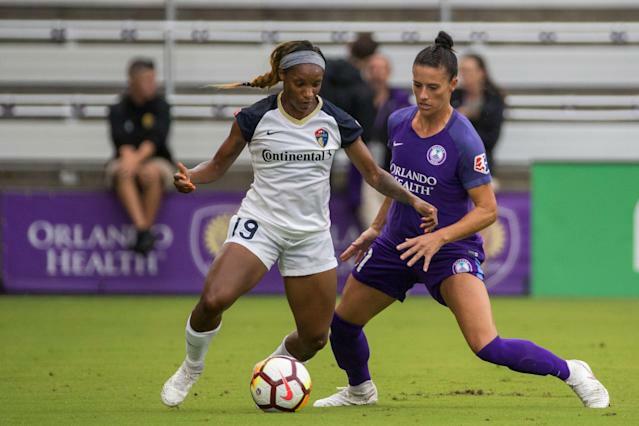 Women’s soccer is growing in popularity, and fans can watch every game of the 2019 NWSL season live on the Yahoo Sports app, which is available for download on iTunes and Google Play, and also on desktop. Entering its seventh season, the NWSL is the top flight of women’s soccer in the United States. The league is home to USWNT stars like Alex Morgan, Megan Rapinoe, Carli Lloyd and Christen Press, as well as international stars like Christine Sinclair and Sam Kerr. Be sure to visit Yahoo Sports to keep up with the latest developments throughout the season. Yes. Shortly after the games end, they will be available on demand at Yahoo’s NWSL page and on the Yahoo Sports app (see above). After 48 hours have past since a match’s conclusion, it will be available on demand at NWSLsoccer.com/schedule and on the NWSL app with no sign-in required. Yes, it will be part of the next release in the coming days. Other questions can be answered at the NWSL’s official site.